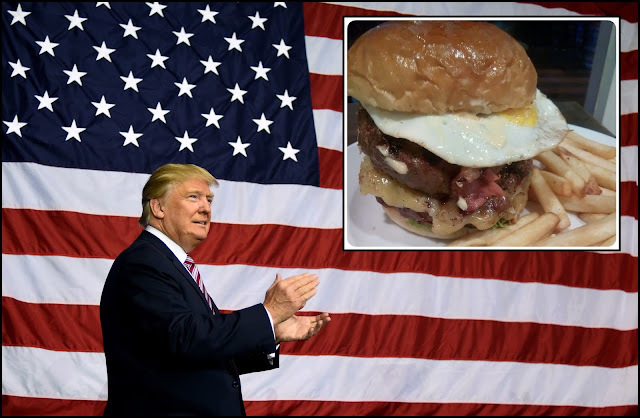 Home / burgers / celeb / donald trump / fooddrink / foodie / news / Donald Trump inspired burger is available in Manila! Donald Trump inspired burger is available in Manila! 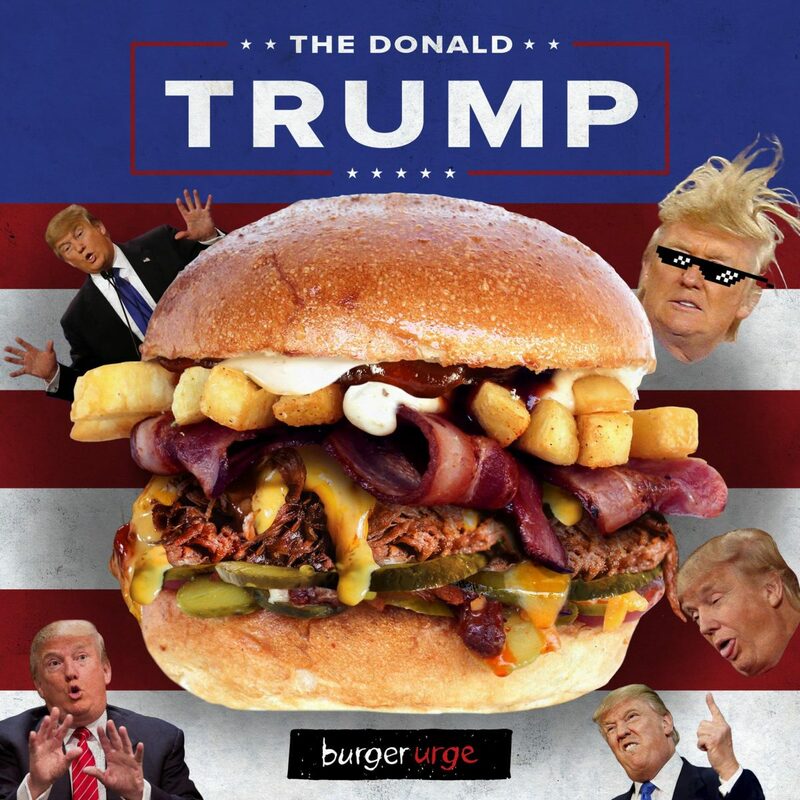 Ever since Donald Trump became the new US president, many fast food and restaurant joints in America have included a new item on the menu which is inspired from the great man himself. 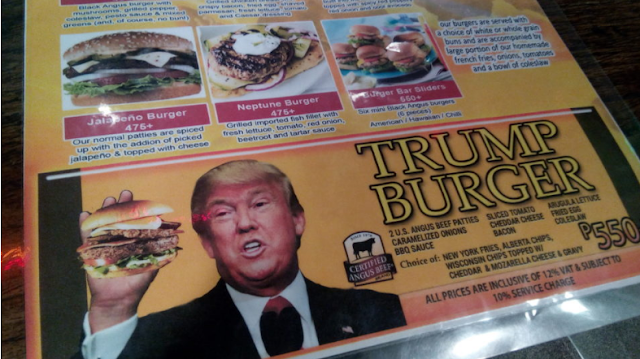 There’s the Trump Burger, The Donald, The Trump Tower Burger, or just simply the Donald Trump, and these burgers have something in common – they’re yuuuuuge! But the thing is, most of these burgers are only available in the US, and maybe a few in other European countries, so it’s really hard to find one in Asia – at least that’s what we think until we found out that a restaurant in Manila serves this presidential burger. 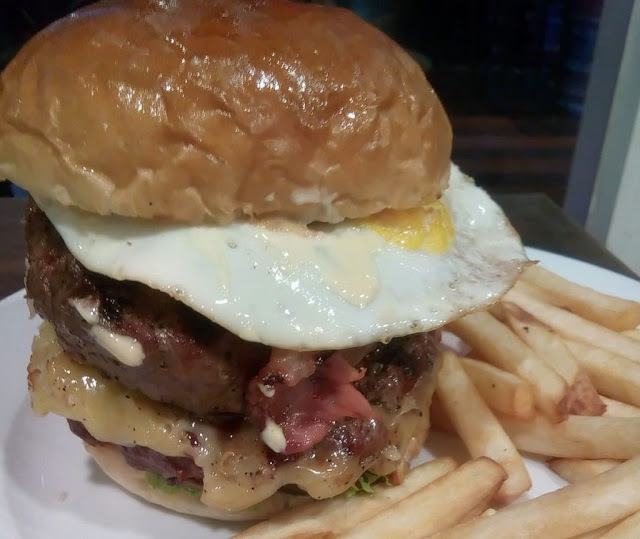 According to Coconuts Manila, a western bar called Team Insider Sports Bar at the Red Planet Hotel in Makati City is selling the Trump-inspired burger which they call it as “The Trump Burger”. The mouth-watering burger is stacked with two US Certified Angus Beef patties topped with caramelised onions, slices of tomatoes, arugula lettuce, a sprinkle of cheddar cheese, a fried egg, strips of bacon, coleslaw, and some barbecue sauce. The meal comes with a side of either New York fries, Alberta chips, or Wisconsin chips, sprinkled with cheddar and mozzarella cheese on top and served with gravy. The Trump Burger costs at a whopping price of PHP550 which is twice the average price of a regular burger in the Philippines. But considering the yuuuge size of the burger, it is worth it! Apparently, the burger is not a new item on the menu as it has been around ever since Donald Trump announced his candidacy in 2015. Next month, President Trump is going on a 12-day tour from 3 to 14 November 2017 in Asia including Manila, Philippines, for the Asia-Pacific Economic Cooperation meeting as well as the Association of Southeast Asian Nations summit. So with that’s going on, we wonder if he would like to stop by the restaurant and try out his namesake treat!